The global oil prices are caught in the crossfire between the failure of another attempt to reach a deal on the oil cuts and gradually rising output figures. There was a lot of talk and nobody managed to agree on anything, which has been pushing the market down. U.S. crude slid 0.4 percent to $48.52 a barrel on Monday, while global benchmark Brent also retreated 0.4 percent to $49.50, up 0.9 percent in October. The prices saw further decline on October 31 after non-OPEC producers made no specific commitment to join the OPEC in limiting oil output levels to prop up prices. The officials and experts from OPEC countries and non-OPEC nations including Azerbaijan, Brazil, Kazakhstan, Mexico, Oman and Russia met for consultations in Vienna on Saturday and only agreed to meet again in November before a scheduled regular OPEC meeting on November 30. If back in April 2016, an agreement to freeze the oil production failed due to internal differences of OPEC, now the failure was mainly triggered because of the position of countries outside the cartel, first of all - Russia. Russia, beating records in the “black gold” production, announced that it may freeze the production level, but not agree to cut it. Russia expects to increase its oil output by 0.7 percent next year and a further 0.9 percent in 2018, the draft federal budget showed. Crude production is expected to be a record-high 548 million tonnes in 2017 and 553 million tonnes in both 2018 and 2019, up from an estimated 544 million tonnes this year, the document showed. Experts say that Russia's position could disrupt an emerging agreement between OPEC states, which decided to cut production, but not alone, and in parallel with the players outside the cartel. And Russia is not alone in its position, as Norway even refused to participate in the negotiations. Kazakhstan, which recently re-launched its Kashagan oilfield pouring more crude into the oversupplied market, and Brazil, which aims to increase production volumes, also do not rush to agree to the cuts. However, there are also supporters of efforts to bring balance to the oil market. 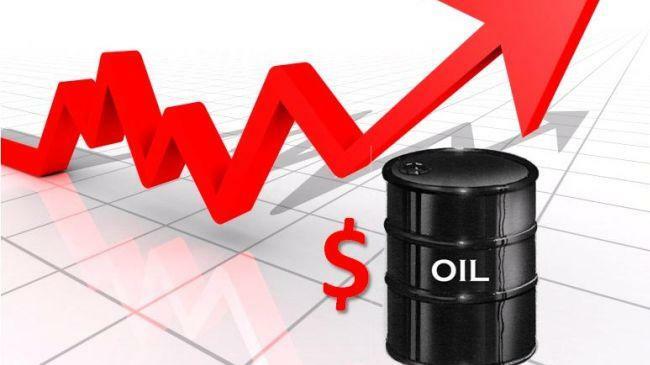 Azerbaijan, one of the birthplaces of the world oil industry, announced that it will not increase production, and even more assumed a unilateral obligation not to increase production and export of oil, since it is necessary to stabilize the market. What’s more, even if the producers outside OPEC somehow agree to production limits and cuts, the Cartel itself faces quandary as not all its members agreed to production cuts. The cartel's most important member, Saudi Arabia refused to cut output earlier, as it was hoping the resulting price crash would drive large swathes of the U.S. frocking industry out of business. But the American drillers surprised everyone by finding ways to reduce their costs and continued to keep the production. Now, Saudis are ready to OPEC’s setting a ceiling on oil output somewhere between 32.5 million and 33 million barrels per day — down from current levels of 33.5 million barrels per day. If those cuts were actually implemented, Iraq, Iran, UAE, and Saudi Arabia would likely have to take the biggest hits. However, Iraq and Iran are unlikely to agree to carry the burden of the crashed prices. Iraq, OPEC's second-biggest producer, announced that it should be exempt from any production cut as it’s embroiled in a war with Islamic militants. The war-torn Iraq wants to rebuild its economy and so is seeking more oil revenue and demonstrates resistance to contributing to the cuts. Currently, Iraq’s oil production is 4.7 million bpd, with exports standing at 3.8 million bpd. Meanwhile, Iran, Libya, and Nigeria are all trying to increase output right now as they recover from sanctions or conflict. They’d all prefer if someone else cut. Such a destructive position of a number of oil-producing countries frankly puzzling, as the current prices are much less profitable than it might be. Most countries seek to regain or keep oil market shares, not care about prices, but the things can turn too bad to be saved.